Williams, Inez Delores King was born March 10, 1937 in High Springs, Florida. She devoted her love not only to God, our Lord and Savior, but to Edward Williams as well. 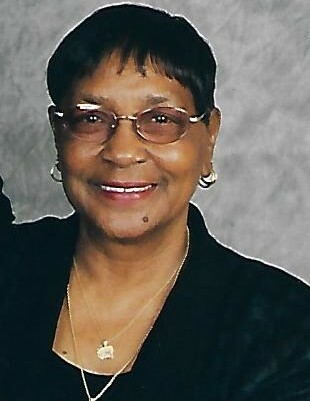 Mrs. Williams lived half her life in New Jersey where she raised her two children, Gwendolyn Williams and Lenny Williams. She was a cherished member of the Lockheed Martin Family for several years, where she designed lenses for military aircrafts and later retired. She was loved by many for her never ending generosity, caring personality and kind-hearted spirit. Her spare time was spent cooking, baking and among family. Mrs. Williams is survived by her children, Gwendolyn Williams, Lenny Williams and wife Pamela; grandchildren, Lynsey Williams and Laney Boyer; great grand, Nayla Boyer. Mrs. Williams will reunite with her loving husband, Edward in eternal peace. Public Viewing will be on Tuesday August 14, 2018 from 10 AM until time of service at Summers Funeral Home, 2238 NW 10th St. Ocala, Florida. Funeral Service will be on Tuesday, August 14, 2018 at 11:00 AM at Summers Funeral Home Chapel, 2238 NW 10th St. Ocala, Florida. Rev. Richard Howard Sr. , Eulogist. Final Interment will follow at Florida National (VA) Cemetery, Bushnell, FL.